One of the transmission methods that has become popular over the last few years is the mobile phone network. 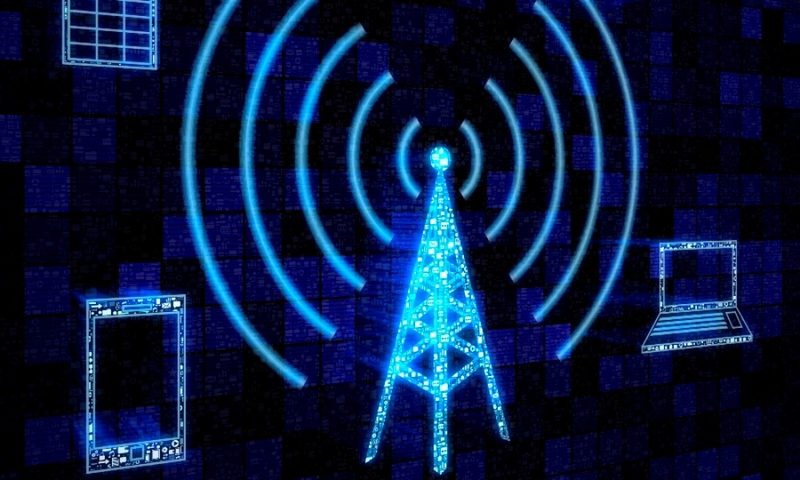 Traditional means of wireless communications had become expensive and companies began to realise that the cellular network could be used as an alternative. Hardware costs have become to fall in particular the cost of GSM modems and this has led to more manufacturers entering the market. Data rates are small and can be easily accommodated by a cellular network and the predicted growth to M2M Communications and the Internet of things (IoT) has seen the big mobile phone operators now offer the technology as a core service. The evolution to 4G and LTE advanced means data will be sent over a packet based network with web enabled ip connectivity. ubiquitous. Improved latency levels in LTE advanced networks will ensure that mission critical applications can be accommodated by the networks. 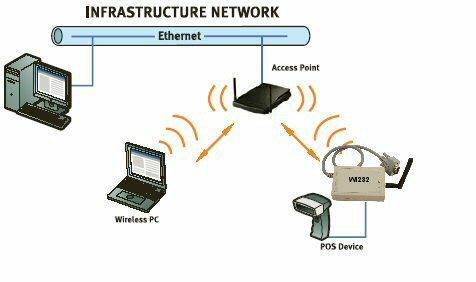 There a numerous devices currently on the market that come with GPRS, 2G,3G ,4G as well as Wireless Ethernet capabilities. 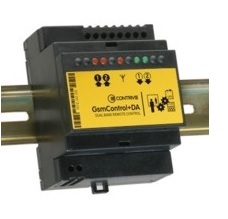 These come with Analogue, Digital,Relay Control and Serial Communications interfaces. They come in embedded and boxed formats. While initially the market was hesitant about using mobile networks for data communications they have gradually adopted to the technology with some of the biggest corporations in the world now using the technology. Data Sims with various plans are now available. Usually a sim is purchased with a data plan or on a Pay as You Go basis. A typical example would be a 10 Mb monthly allowance for standard data but this could rise significantly if video images are being sent over a mobile network. Companies are offering managed VPN networks with a fixed public or private ip address. Some companies offer hardware that comes with a data plan included much like a mobile phone that comes with x amount of free minutes or data. Radios operating in the VHF and UHF bands require a license which is available from the Irish communications regulator Comreg or the UK regulator OFCOM while there are RF power limits imposed by the EU on all frequencies. This is to prevent interference with the emergency services. You should choose the appropriate radio based on the application and where the radios are going to be used. Check to see the RF power output of the radios and whether a license is required. Note that VHF and UHF radios will send data over far greater ranges 20-80km (max power output up to 35 Watts) compared to 2.4gHZ which will send data up to six miles ( power output of 100 miliWatts) If unsure if a radio modem will work in your application do a site survey and test the radios in-situ. If testing for longer periods on VHF and UHF bands you may use a test license which are also available through the regulators. For Irish customers please visit the website Test and Trial where you can apply for a license for up top one year. The test and trial license is designed to help manufacturers research and develop new products and services in Ireland. 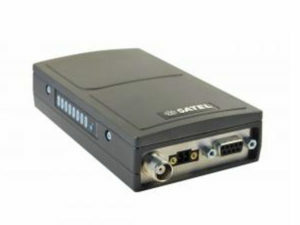 Satellite can be used as an alternative to RF or Cellular Communications. It may be that the application is hosted in a very mountainous area or out at sea where there no cellular coverage and distance prohibits RF point to point communications. A satellite is an object that orbits the earth. The moon is Earth’s original, natural satellite, and there are many man-made satellites now currently in use. To understand why satellites move this way, we must visit Newton. Newton laws maintain that a force — gravity — exists between any two objects in the universe. This force prevents a satellite placed above earth from moving in a straight line. The force is balanced by a gravitational attraction from the center of the planet. A satellite’s orbits the earth in an elliptical manner around two points known as foci. Earth is situated is at one of the foci. The force applied to the satellite is not the same as it orbits the earth and the speed of the satellite changes constantly. It moves faster when it’s closer to the planet and slower when it’s further from the planet. 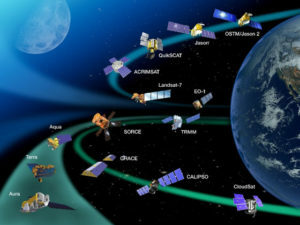 There are many types of Satellite currently in use the ones we are most familiar with are Broadcast which broadcast Television signals Satellites and Weather Satellites which help us forecast the weather. 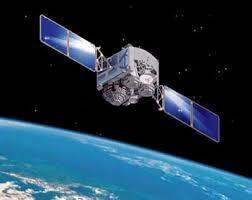 Other satellite in use are Communications, Military and,Navigational, Rescue and Scientific Satellite. Communications Satellites use transponders. These are radios that receive a signal from earth at one frequency, amplify it and transmits it back to earth at another frequency. One of the Satellites used for data communications is the Iridium Satellite used for phone and machine to machine (m2m) Satellite Communications. It costs less then others making is suitable for data communications. As with other form of communication you should check the type of application you are using and the location before deciding on Satellite. At least one access point is required The access point and all the wireless clients on the LAN are configured to use the same network name i.e SSID. The access point is connected to the wired network via a cable. This enables the wireless clients access to the Internet or printers etc. Additional access points can be added to the network to increase its reach and support more wireless clients. The advantages of this type of network include scalability and centralised security. The disadvantage is the additional cost of buying more access point hardware. To set up an ad-hoc wireless network, each wireless adapter must be configured for ad-hoc mode rather than infrastructure mode All wireless adapters in the network must use the same channel and SSID. Ad- hoc networks work well where there are small groups of devices close together and connected to each other Performance suffers as the number of devices grows and large ad-hoc networks are more difficult to manage. Ad-hoc networks cannot connect to wired local area network or to the Internet without installing a special-purpose gateway. Ad hoc mode is used when building a small all wireless network and has the advantage of not being as expensive as infrastructure mode. Ad hoc networks are used as a temporary setup if infrastructure mode hardware (access points or routers) stop functioning. Wi-fi networks are gaining popularity in industrail applications. The standard is easily understood and the cost of modules has reduced significantly. Many embedded modules are now available with real-time operating systems (RTOS) and a built in serial port interface that allows a wireless connection to many devices e.g an E.C.G monitor while needing only a basic understanding of wireless communications. Security is a issue however and we offer an additional security layer on top of whats already available. Please contact us for more details. Zigbee was designed as a low power, low cost, standards based wireless sensor and control network. It was built on the IEEE 802.15.4 Standard and designed for use in local area and personal area networks. Even though it is low powered it will still transmit data over long distances. This is done by organising the network into a mesh where one device passes data on to another device and on to a third device etc, etc in an ad-hoc manner with no centralised node. This enables the network to be extended over longer distances. Transmission distances range from 10 to 100 meters per node although greater distances have been achieved with proprietary zigbee devices. Zigbee operates on the 2.4. Ghz carrier frequency and is suitable for use in low power, low data rate and high secure applications where long battery life is required. Its transmission rate is 250kbps and it operates best when transmitting intermittent data over short distances with low data rates or transmitting data from a sensor or input device. Common uses are in home automation i.e switch control, temperature readings etc. Other uses are consumer displays, electrical meter readings and road traffic systems. 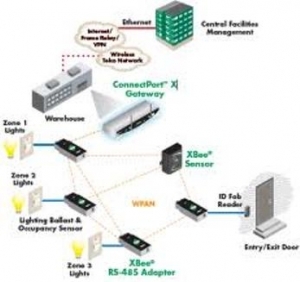 Zigbee technology was designed to be simpler, less expensive and more robust than Bluetooth or Wi-fi. ZigBee uses by 128 bit symmetric encryption. Zigbee was first introduced in 1998, standardised in 2003 and revised in 2006. 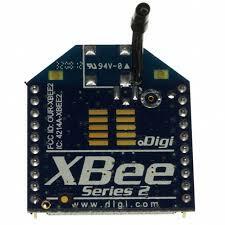 The name Zigbee came from the ‘waggle dance’ of honey bees on their return to the beehive. The ZigBee Alliance was formed by a group of companies who promote, maintain and publish the ZigBee standard. The term Zigbee was registered by the group as a trade mark. The Alliance releases application profiles that allow OEM vendors to create inter-operable products. The relationship between IEEE 802.15.4 and ZigBee is similar to that between IEEE 802.11 and the Wi-fi alliance.